One Card. So Many Options. That’s exactly what eBay Gift Cards offer the recipient. 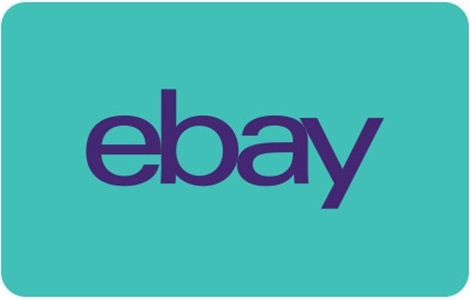 Whether it’s new, unique, or something in-between, eBay has you covered for any gift, any occasion, every time! Shop from millions of items in Electronics, Toys, Motors, Fashion, Home & Garden, Art, Collectible, and many more categories! Best yet, eBay Gift Cards never expire and have no fees. Use it to shop now. Treat your eBay Gift Card like cash. To use this Gift Card, you must have a U.S. registered eBay account, a PayPal account, and a U.S. shipping address. Only redeemable for items listed on eBay.com where PayPal is accepted. After first use, the Gift Card is non-transferrable. Not refundable or redeemable for cash unless required by law. This Gift Card never expires and there are no fees. This card is subject to full terms and conditions. Redemption limits apply.